51 search results for "Gunn"
Steve Gunn needs little introduction in these pages. We’re big fans—and no doubt you are too. 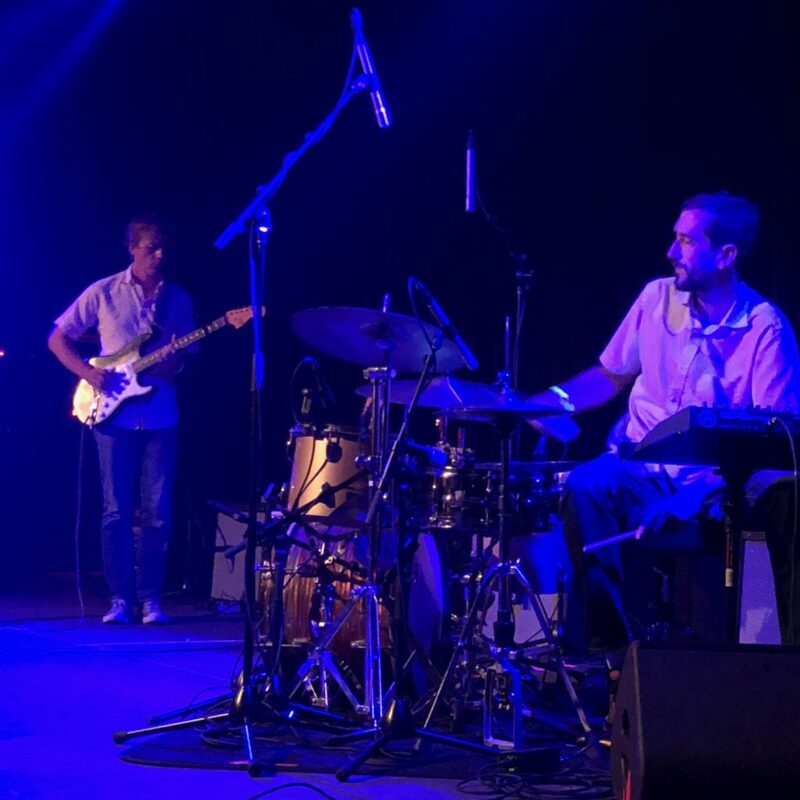 Steve has been touring the US and Canada the last couple weeks along with Meg Baird and Lee Ranaldo, the trio making up the first must-see tour of 2017 and spreading some much needed solidarity, positive vibes, and resistance in these unfortunate times. The final weekend of the tour found them playing Washington, DC on the night of the inauguration, Philadelphia the night of the next day’s massive and exhilarating marches, and wrapping up Sunday night in Brooklyn at the Park Church Co-op. The success of the weekend’s protests had people feeling pretty hopeful by Sunday night and this solo set from Gunn feels great all the way through. Seeing him solo and in a smaller, less formal space than December’s Bell House gig brought back happy memories of the days when you could regularly catch Gunn doing an intimate set at Zebulon. I recorded this set from in front of board, combined with a feed from Park Church’s engineer Jasno Swarez. The sound is excellent. 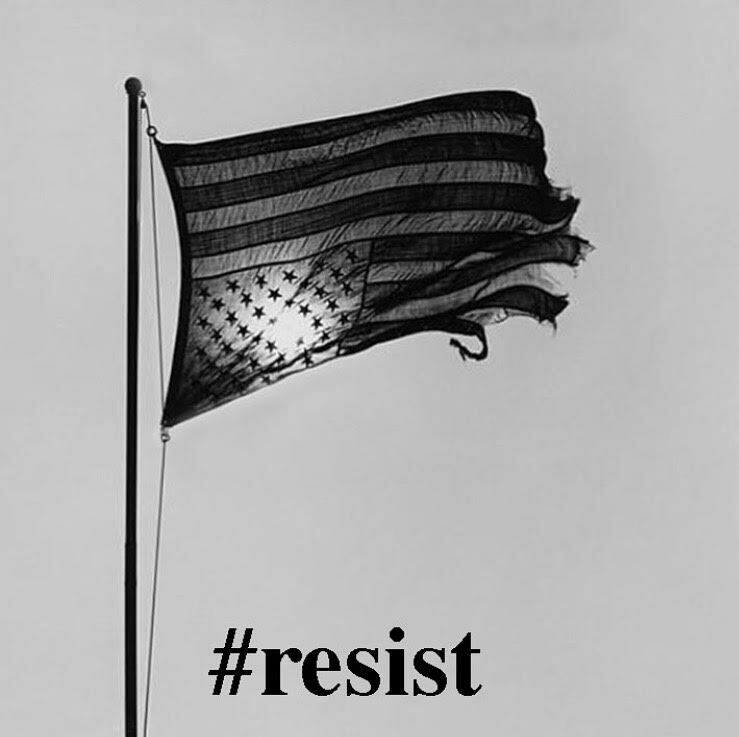 Enjoy—and resist! PLEASE SUPPORT STEVE GUNN: Go to matadorrecords.com or your local record store and buy Eyes On the Lines and the recent “Ancient Jules” EP. Though his solo career has been the (very successful) focus of late, many of us were first exposed to the virtuosic guitar playing of Steve Gunn via his perfect pairing with the drummer John Truscinski. The duo produced a pair of outstanding albums on Three Lobed Recordings, Sand City and the masterstroke Ocean Parkway, each with an indelible connection to desert blues, Indian ragas, American folk, and psychedelia. By our count, though, their last live shows doing this music were in 2012, including the Hopscotch Music Festival and 285 Kent shows that appeared on this site. That made it especially exciting to experience the group’s return to a stage where we’ve seen them before — at King’s in Raleigh, NC. This time, we were celebrating the sixteenth anniversary of Three Lobed Recordings, and in a sense, the reissue of both of the duo’s albums by the label this year. Building on Gunn’s dynamic afternoon solo set, the pair gifted us three songs filled with precise interplay and hypnotic guitar work. 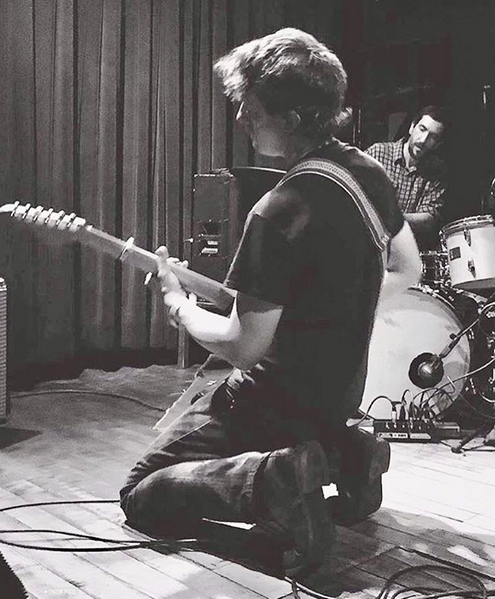 Gunn dug deep on the guitar work during “Ocean Parkway” and “Banh Mi Ringtones,” the latter’s signature melody leading the pair into an explosive, noisy jam that iced the cake for those of us who love seeing these two play together about equally to our love for Gunn’s solo outings. After “Banh Mi” wound back to its subtler beginnings, the pair closed with “Wythe Raag” from Sand City, which managed to evoke both the namesake Brooklyn street and legendary musical style for which it’s named. That number likewise came in the three parts, building to another sprawling noise climax before its mystical, melodic closing. As Gunn prepares to tour his new record, we hope these two will find time to continue to work together — it’s something not to be missed. I recorded this set as with the other sets from the day, with a combination of multiple soundboard channels from engineer Brad Womack’s feed, together with onstage Schoeps MK22 mics and mounted MBHO mics in the center of the room. The sound quality is simply phenomenal. Enjoy! In case you live under a rock, Steve Gunn is a pretty big deal in the independent music world. Along with working with Kurt Vile, he’s released a sprawl of killer records, from his duo work with John Truscinski, to his collaborations with Hiss Golden Messenger, Mike Cooper and the Black Twig Pickers, to his work with GHQ, to his singer/songwriter solo work. There is no version of Steve Gunn that isn’t great, that isn’t able to worm its way into your brain and stick there, and maybe make you think in the process. Like Bardo Pond, Gunn is another artist that Three Lobed Recordings has been aligned with for a long time, and the fact that Steve would take the stage twice at the Three Lobed Sweet Sixteen Spectacular, in celebration of the label’s sixteenth anniversary, says what you need to know about his commitment right back. If (as it would seem) Gunn will prove to be one of the Three Lobed alumni with the greatest popular appeal, it won’t be because he’s abandoned the spirited, inventive and challenging style of playing that early fans have always cherished. The proof of that lies in this single set from King’s, as Steve closed out the morning portion of the day with just three long songs. Sure, “Old Strange” is a bit easier to hum along to than GHQ’s “Four Trees,” but it’s still fifteen freaking minutes long, as played here, with the lyrics and the chorus almost afterthoughts amidst the guitar work that almost makes you forget there’s just one of him up there. That doesn’t discount one of Gunn’s other most-loved and longest epics, “The Lurker (Extended),” which graced the Not the Spaces You Know, But Between Them boxed set on Three Lobed, and arrived in stunning form here. He closed with “Mr. Franklin,” another relatively uncommon number in his current tour repertoire, and readied himself for the second half of this day, when he would join John Truscinski for their first duo set in several years (that recording coming soon). You owe it to yourself to hear where Steve is going next — preorder Eyes on the Lines here, and check out the new single “Conditions Wild” on YouTube. I recorded this set in the same manner as the other recordings from the day, with Schoeps MK22 open cardiod microphones onstage, MBHO microphones in the audience, and a multichannel soundboard feed from Justin Perrachon. The sound quality is outstanding. Enjoy! I recorded this set in the same manner as the day’s other recordings, with a soundboard feed from King’s engineer Justin together with Schoeps MK4V microphones onstage. There is a bit of DI hiss on the quiet passages, but overall the sound is excellent. Enjoy! Steve Gunn and the Black Twig Pickers produced a record this year, Seasonal Hire, that combined the strengths of these champions of the string instrument, with Steve’s guitar work a perfect compliment to the traditional bluegrass stylings of the Twigs. As much as one had to love hearing the record, there weren’t many opportunities for the musicians to show up in the same room again to recreate the stuff live. This year’s Hopscotch Music Festival solved that for us, as Steve and the Twigs came together — along with Greg Fox on one song (!!!) — to not only play the Seasonal Hire material, but to augment a couple of Gunn’s songs as well. “Old Strange” benefited from that treatment, as did “Shadow Bros,” which closed out the night with a cameo from Fox. The show had the feeling of a reunion onstage and in the crowd; much like the bands, most of their fans around these parts know each other, too. Several artists, as you can see, played seated, and it gave the event a relaxed, inviting and tranquil vibe — a welcome feeling after a long festival day. I recorded this set with a soundboard feed from the NC-based master engineer Wayne, together with Audio Technica 4051 microphones. The sound quality is excellent. Enjoy! Support Steve Gunn & the Black Twig Pickers by visiting their websites, and buying Seasonal Hire among their many other fine releases. Steve Gunn is having a blockbuster spring, having signed recently to Matador Records, and announcing that he’ll be joining Wilco on their spring tour. Gunn’s music has been one of building slowly but methodically as he nurtured different aspects of his talent, from his early solo work, to his partnership with John Truscinski on two outstanding records, to his second solo phase represented by Time Off and Way Out Weather, two fine records that have launched him onto the bigger stages he deserves. This show at Baby’s All Right represented the end of Steve’s recent tour with the “Way Out Band” comprised of site favorite Nathan Bowles on drums, Jason Meagher on bass, and Paul Sukeena on guitar, and it may be the last proper club show for Gunn for a while. While Steve’s tours have been increasingly turning up newcomers, there to see what the buzz is about, this show was all about the hometown crowd, with the front rows lined with Steve’s personal friends and musical associates, alternating love and tipsy-but-gentle heckling. The set reflected the mood, with the band serving up long-form, loose versions of Time Off and Way Out Weather regulars. “Old Strange” set the tone, with its hypnotic opening riff, and the songs that joined it kept up its feel, with Gunn and Sukeena trading guitar lines while Bowles and Meagher kept the beat. If the slightly different band (trading Sukeena for Jim Elkington) at the 2014 Rough Trade show felt like a band growing into itself, this one was that almost-same group spreading its wings, even more road-confident than when they returned to the area back then. “Street Keeper” was a new addition I hadn’t heard at recent NY shows, making this a winner setlist- as as well as performance-wise. You can catch Steve Gunn this spring with Wilco; please show up early and make him feel welcome in those large arenas! Kevin Mazzarelli mixed this live set and recorded various tracks to Pro Tools; I mixed and mastered them. The sound quality is outstanding. Enjoy! 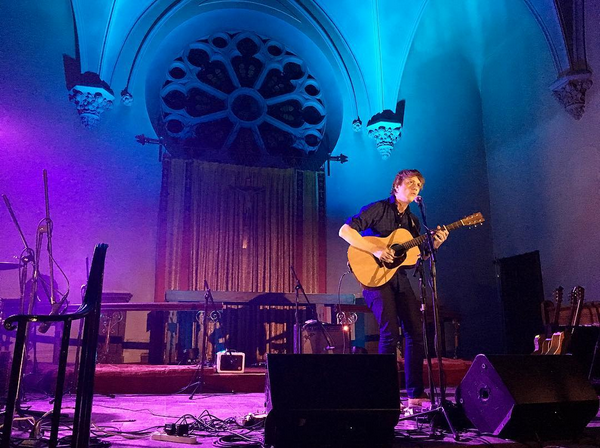 If you enjoyed this recording, PLEASE SUPPORT Steve Gunn, visit his website, and buy his albums, all of which have “buy” links here.